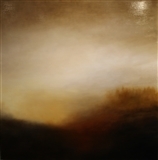 Jennifer Morrow’s haunting paintings seamlessly capture the emotional clarity of the subconscious mind. 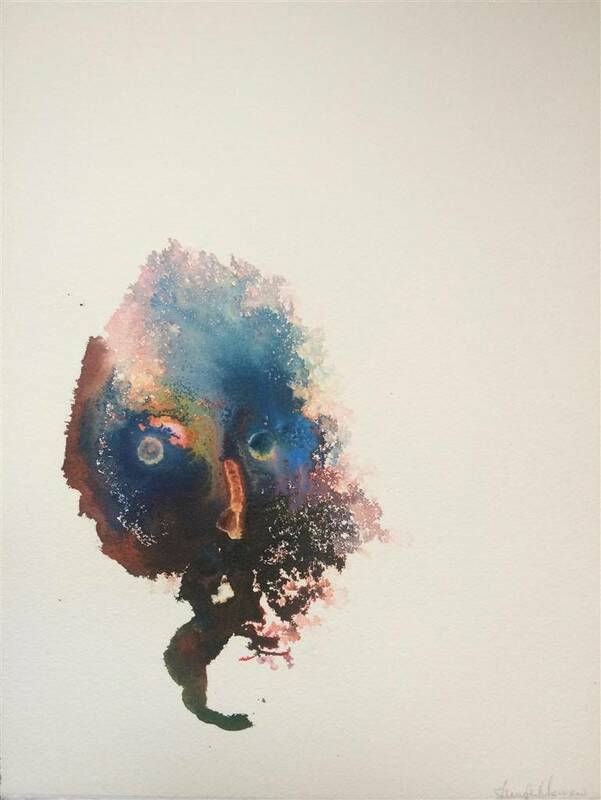 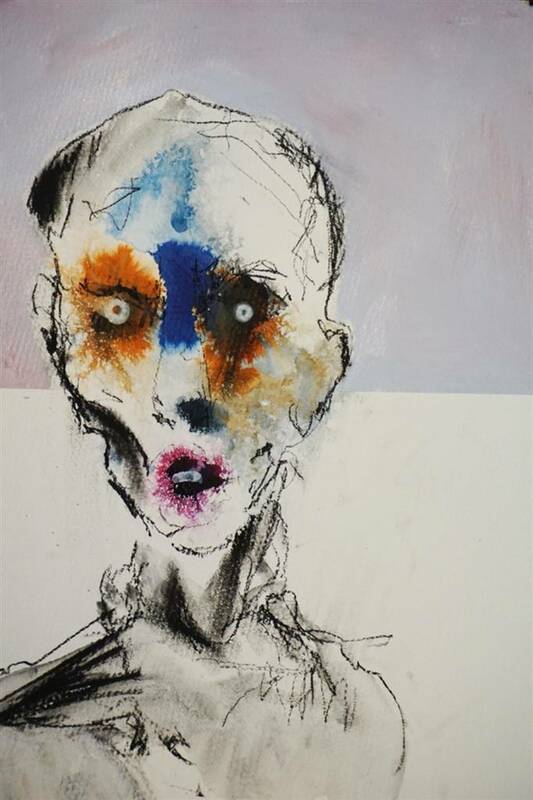 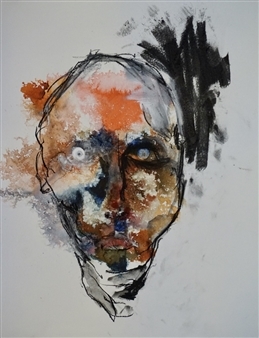 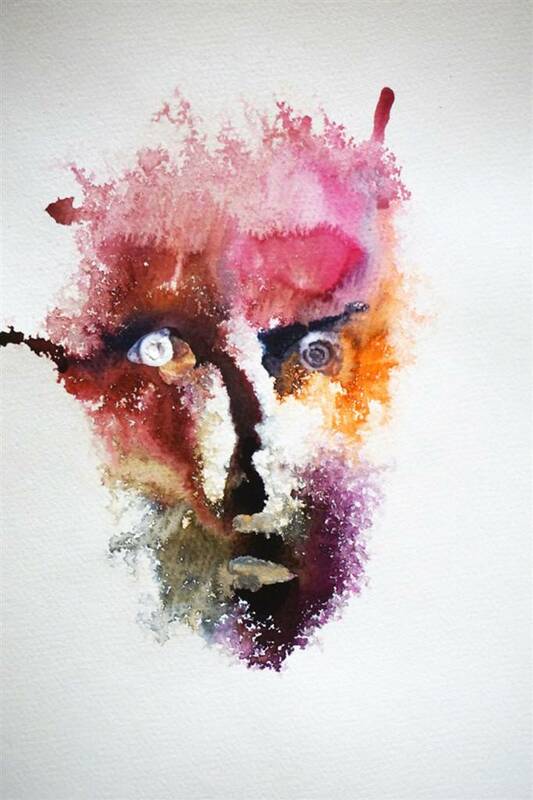 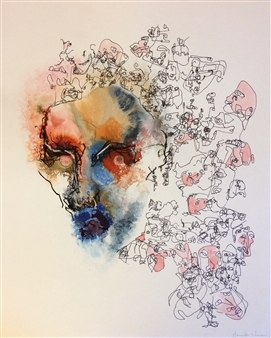 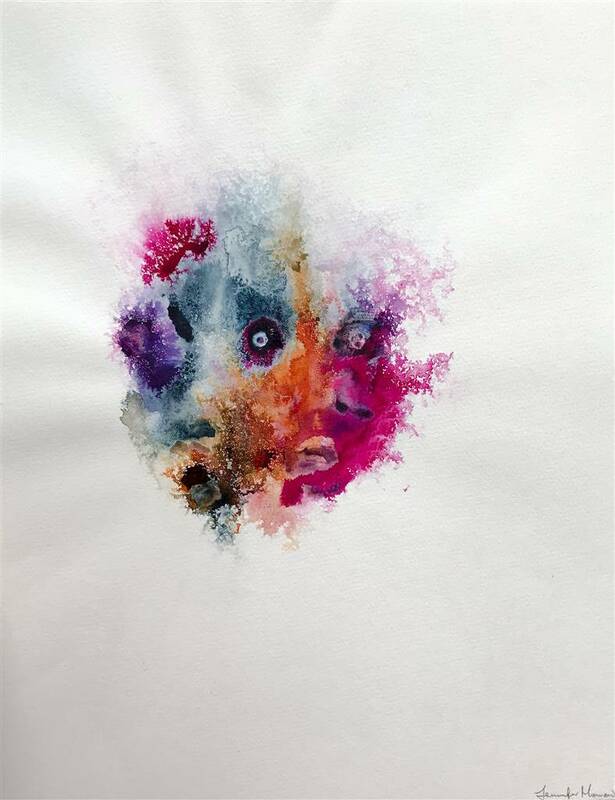 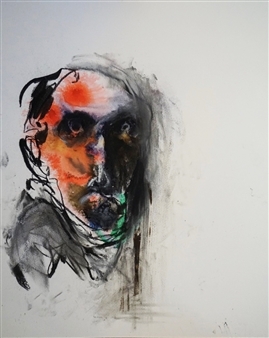 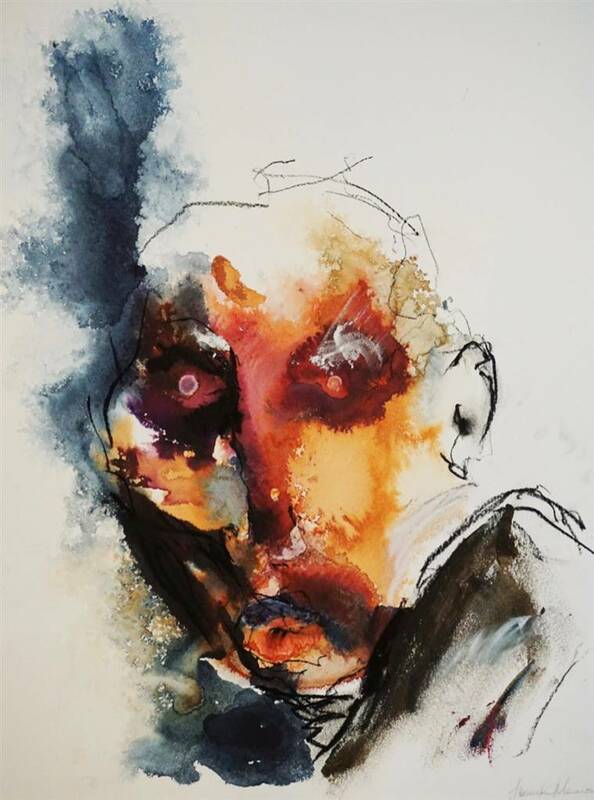 Working in predominantly mixed media, watercolor, ink, and acrylic on paper, the artist marries bold, immediate lines with translucent washes of color controlled by the application of alcohol to compose unnamed, sepulchral faces that gaze portentously at the viewer. 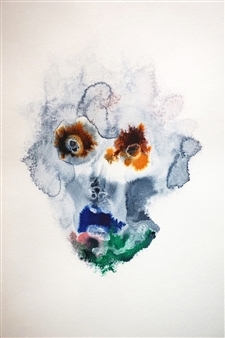 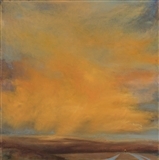 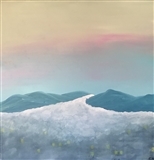 Morrow often places each face upon crystalline layers of pale color that comprises the background of her works.